If you walk into Fashionknit, you’ll notice all the suitcases living on top of the shelves. Before she owned the store, Jeanine used to be a flight attendant, and over the years has collected dozens and dozens of vintage suitcases that hearken back to the days when people used to dress up to go traveling (and had incredibly toned arms from carrying their wheel-less luggage around!) Some of these beautiful pieces were donated by customers who, rather than have them collect dust in their garages, love to see them in the shop and be reminded of the places they’ve been. 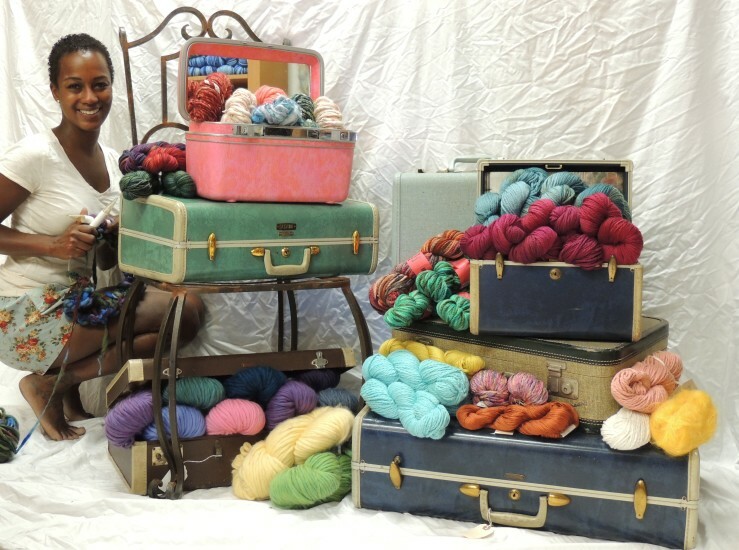 We hope, when you look at these classic suitcases, you will be inspired to be adventurous and take chances in your life (as well as in your knitting)!